You First Step is to Register! The second step is, you will receive the pre-bootcamp exercise to start thinking about what makes you unique in your marketplace. This can take some thought, so work on it beforehand and bring it to the event. This proven process and simple tools will help you clarify your message, build connections to your brand, and increase your revenue – all in the time it takes you to each lunch. 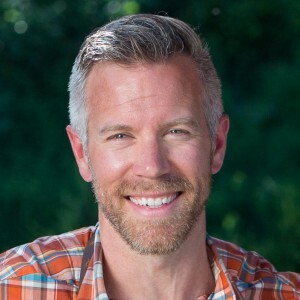 Beau Nordby is a Partner at OrangeBall Creative who works with small and medium-sized businesses, bringing Bounce to brands by clarifying the message and then unifying it across websites, print, and all marketing channels. After spending over 14 years marketing and developing websites for multimillion dollar brands, as well as startups, Beau knows what truly drives creativity, consistency, and conversions. It’s defining and connecting with the core audiences you’re trying to help and guide them with your expertise. In addition to his extensive brand and marketing experience, Beau is certified in Good Leadership Training.